Littlewoods Casino is connected to the famous United Kingdom – Littlewoods Pools originated by John Moores in 1923. The online casino is owned by Sportech, a London stock exchange member, and features the largest online three-reel-slot Millionaire’s Club on the internet. Littlewoods is very popular in the UK due to its recognizable name and excellent customer service. At Littlewoods Casino, the emphasis is clearly on the customer. The casino takes care of its members and as a result has many members that know each other and compete in a friendly atmosphere. The casino features more than 50 varieties of slots, Blackjack, Poker, Casino Stud, Craps, European Roulette, Video Poker, Red Dog, Baccarat and Keno. The games are what you would expect out of a casino – All in all, very solid. Blackjack, Slots and certain poker games feature large progressive pots. Most games offer multi-level competition and a wide range of betting limits. The games generally run just how you would expect. Players will receive an initial 100% bonus on their first $100 deposited. Members receive a $25.00 bonus with the first deposit of each month. The initial deposit bonus is somewhat weak, but the recurring monthly bonuses are an excellent incentive to stay with the service. Be sure to read up on how the bonuses are accumulated to make sure you’re getting the best deal. The Littlewoods casino comes into its own in terms of slot play. There is a big selection of excellent slots including the cutting edge Marvel Slots and several massive jackpot games. A number of the most popular video poker formats are available in both regular and bonus formats along with video blackjack and video keno. 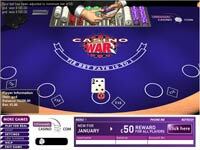 The Littlewoods casino does not set out to create a massive range of table gaming options. 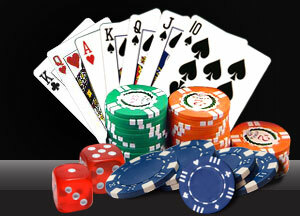 It instead focuses on a dozen or so of the most popular table games, and ensures a quality gaming experience. The blue felt tables are easy on the eye, and game play is fast and easy. Roulette and craps are both on offer at the Littlewoods casino, along with a wide selection of blackjack and casino poker tables. The Littlewoods casino offers a full house of great bonus offers. New players are greeted with a great matched deposit on sign-up, and thereafter qualify for a monthly bonus alongside a reward points program for a wide selection of slots and table games.